Priyanka Gandhi Vadra was appointed as Congress's General Secretary for eastern Uttar Pradesh. Congress leaders have been congratulating Priyanka Gandhi Vadra ever since the announcement. Priyanka Gandhi Vadra has been appointed the Congress General Secretary For Uttar Pradesh (East), marking her entry into active politics, ahead of national elections due by May. The Congress, in a press release announced her appointment to the key post by her brother and party chief Rahul Gandhi. Priyanka Gandhi Vadra, 47, has always confined her role in politics to the constituencies of her brother Rahul and mother Sonia Gandhi, Amethi and Raebareli, till now. "We're fired up and ready to go," the Congress tweeted, congratulating her and party leaders KC Venugopal and Jyotiraditya Scindia for their new roles. After the big announcement, Rahul Gandhi said he had given her a challenge in Uttar Pradesh, a politically important state. "My sister, who is capable and hard-working, will work with me. I am personally very happy and excited. Jyotiraditya is also a very dynamic leader," he said. 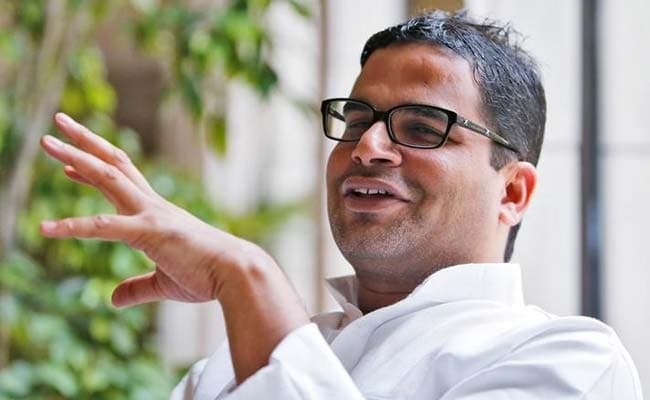 Ms Gandhi Vadra's appointment was announced with a statement that also said Jyotiraditya Scindia will be in charge of western UP. 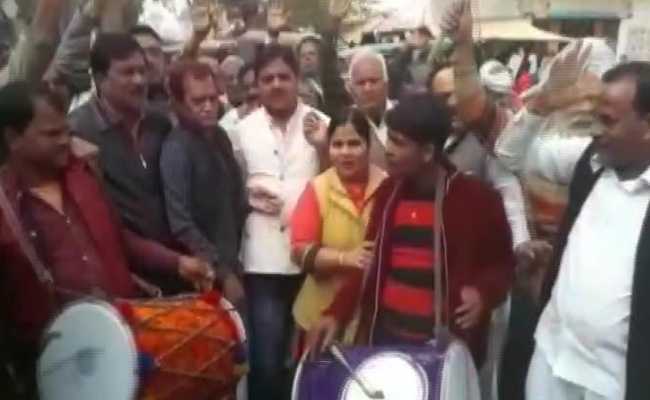 Madhya Pradesh Congress welcomed Priyanka Gandhi Vadra's entry into politics saying it shows the party's strong will to emerge victorious in the upcoming Lok Sabha elections. A group of party workers celebrated the development by dancing and distributing sweets outside the state Congress office- Indira Bhawan. Various party leaders and ministers also hailed the move saying it would benefit the party. Born in 1972, Priyanka Gandhi Vadra is the daughter of former prime minister Rajiv Gandhi and UPA chairperson Sonia Gandhi. She is the sister of Congress president Rahul Gandhi. She went to school in Delhi. She studied Psychology in graduation. She completed her masters in Buddhist studies in 2010. Priyanka Gandhi Vadra is married to businessman Robert Vadra and has two children. Priyanka Gandhi Vadra is seen as a natural in politics but she has confined herself to the constituencies of her brother Rahul and mother Sonia Gandhi - Amethi and Raebareli - till now. 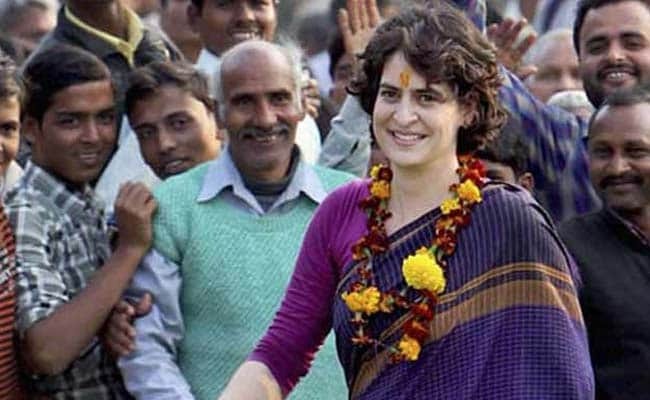 In national and state elections since 2004, Priyanka Gandhi Vadra has campaigned exhaustively in Amethi and Raebareli. After the party's dismal show in successive assembly election, workers were demanding a bigger role for Priyanka Gandhi Vadra in the Congress. 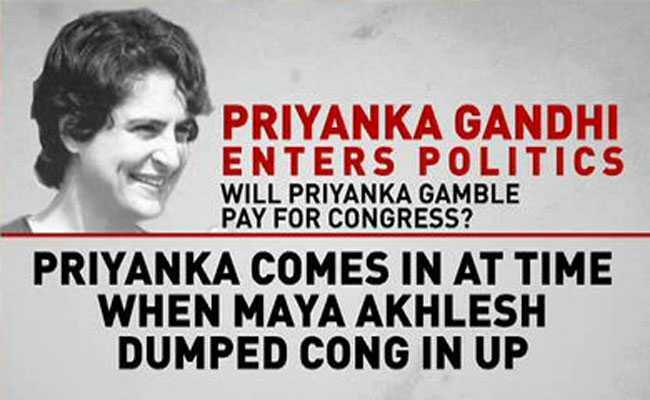 The Congress last year said Priyanka Gandhi Vadra was playing a "major role" in many ways within the party and would continue to do so, but asserted that this should not be seen as an indication that she would contest elections. 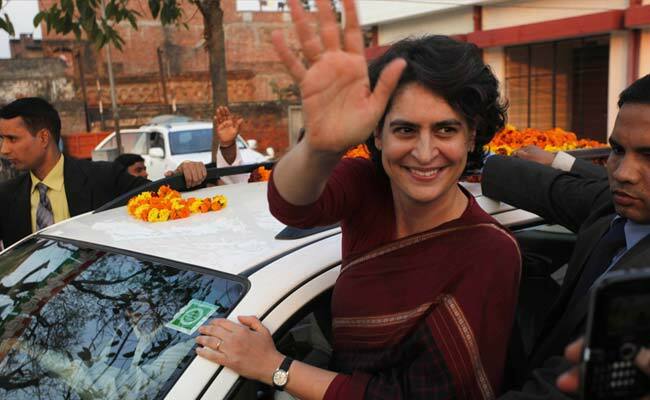 Priyanka Gandhi Vadra had said last year that she would not contest the Lok Sabha election from Raebareli. "There is no question of me contesting from Raebareli, my mother will be contesting from there," she had told NDTV. 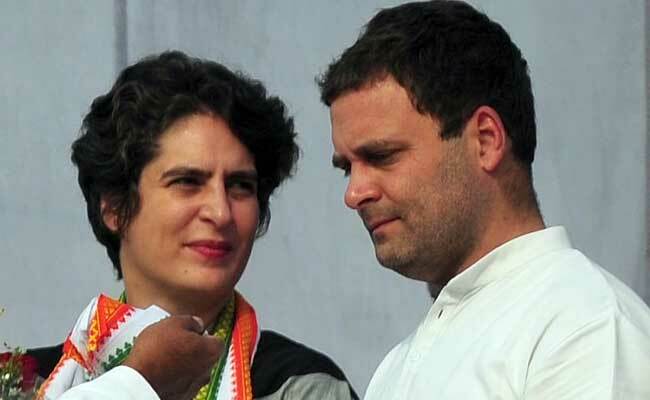 Asked whether it was a precursor for Priyanka Gandhi Vadra contesting the national election, due by May, Rahul Gandhi said today: "It is up to Priyanka if she wants to. My main point is we won't play on the back foot - be it UP or Gujarat or anywhere." Former Delhi Chief Minister Shiela Dixit said Priyanka Gandhi's political debut is a "happy moment". Priyanka Gandhi Vadra has joined politics with an announcement buried in the third para of a Congress press statement just months before the national election, but she was always part of the decision-making process in the party that has been led by five generations of the Nehru-Gandhi family." 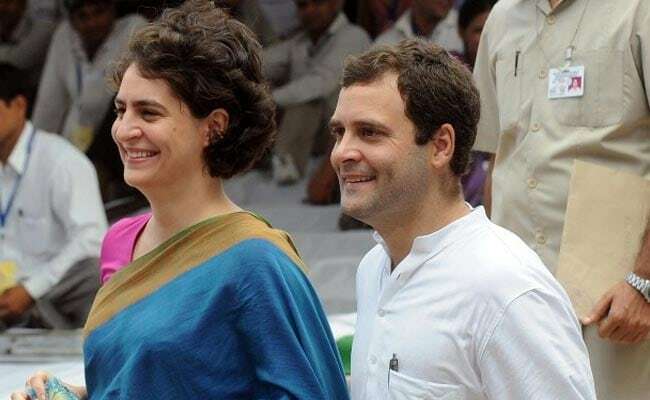 Rahul Gandhi appointing Priyanka Gandhi as the general secretary is a welcome step - one that will give a lot of fillip to the party workers, not just in UP, but across the country. All this while she has been working behind the scenes, and the decision to join active politics was left to her. She had been campaigning in Rae Bareli and Amethi for many elections now. "I congratulate Ms Priyanka Gandhi for her new role in the as AICC general secretary in charge of the Uttar Pradesh (East)," Karnataka Chief Minister HD Kumaraswamy tweeted. 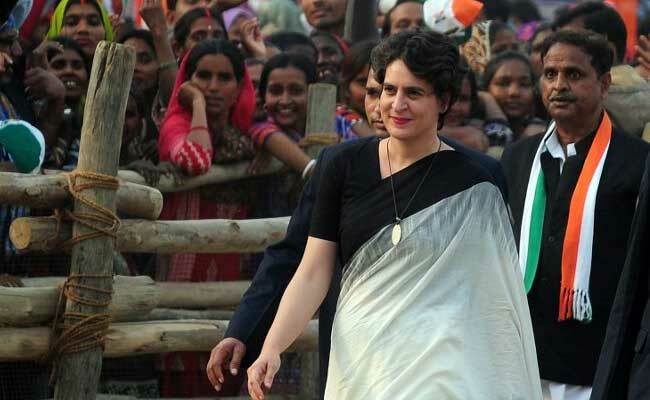 Priyanka Gandhi Vadra, considered for long the trump card of the Congress, was pitched into politics today from politically vital Uttar Pradesh, a state that's considered the gateway to Delhi. Winning Uttar Pradesh is vital for any party that plans to capture power at the Centre. 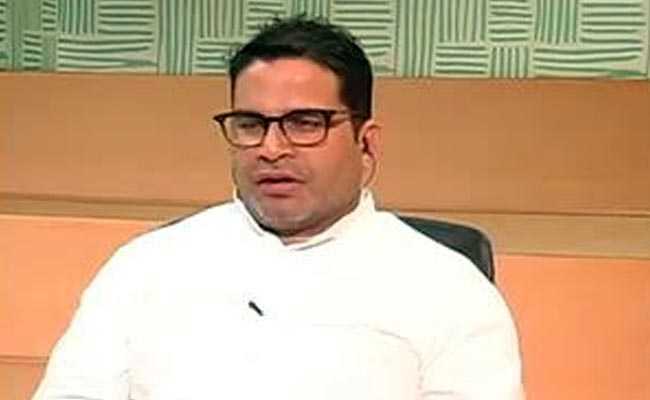 But with the state currently dominated by Prime Minister Narendra Modi and BJP powerhouse Yogi Adityanath, it could turn out to be the toughest battle for the united opposition." Congratulations to leaders appointed by Rahul Gandhi as in-charge of various states ahead of LS polls. Special congrats to Priyanka Gandhi. Her appointment will help rejuvenate the party across the country. 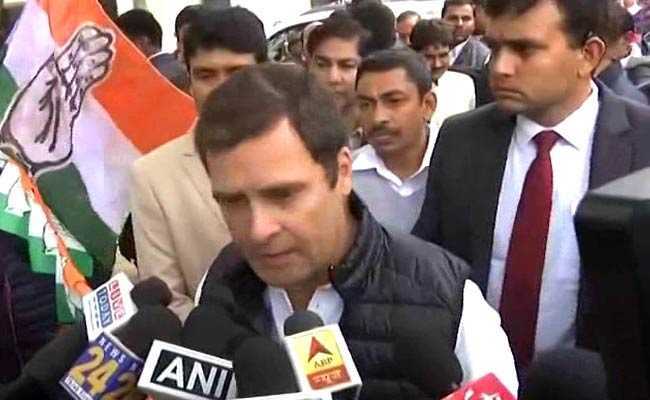 "Won't Play On Back Foot": Rahul Gandhi On Sister Priyanka's Appointment | NDTV.com Video | "
"I trust Priyanka Gandhi Vadra and Jyoitraditya Scindia. We will not play on the backfoot. I have not sent Priyanka and Jyotiraditya for just two months. I have sent them to take Congress' ideology forward in Uttar Pradesh. Our ideology of standing and fighting for the poor, for the youth, for the farmers. Both Priyanka and Jyotiraditya are very capable and dynamic, and will surely take Congress forward in UP." "We welcome Priyanka Gandhi's appointment as General Secretary . 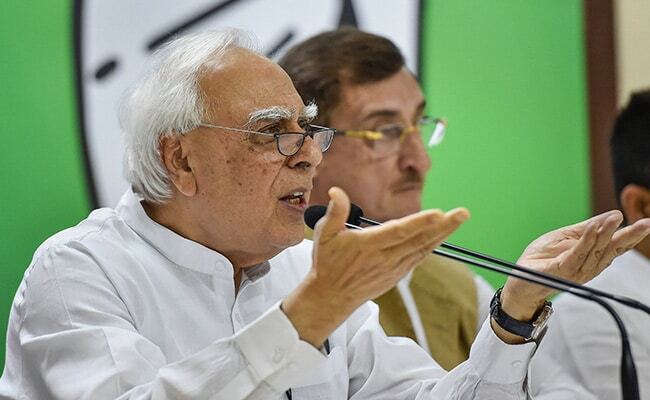 Her entry into active politics will energise cadres and be a catalyst for the rising fortunes of the Congress Party," Kapil Sibal tweeted. Be it in UP or Bihar, we have already started seeing differences crop up in the mahagathbandhan. Now we see another member of the Nehru-Gandhi family join active politics. The Congress cannot think beyond the family. First it was Jawaharlal Nehru, then Indira Gandhi. This was followed by Rajiv Gandhi, then Sonia Gandhi and Rahul Gandhi, and now we see Priyanka Gandhi. What next? 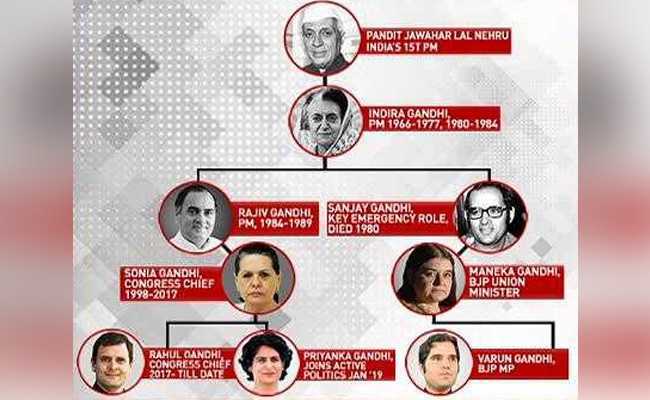 The Congress starts and ends with the Nehru-Gandhi family. Former Karnataka Chief Minister Siddaramaiah also congratulated Priyanka Gandhi Vadra, Jyotiraditya Scindia and KC Venugopal on their news posts. Priyanka Chaturvedi on Twitter: Many many congratulations!!! Welcoming Priyanka Gandhi Vadra ji as Incharge UP East! "Many congratulations to Priyanka Gandhi on being appointed as Congress General Secretary for Uttar Pradesh East. 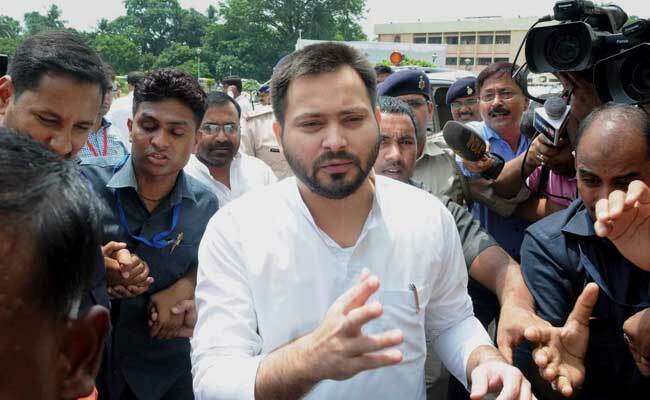 We are confident of a great victory under your able-leadership," Youth Congress tweeted from their official handle. Priyanka Gandhi Vadra, the sister of Congress president Rahul Gandhi, has entered active politics for the first time ahead of the national election due by May. She has been appointed Congress general secretary in charge of Uttar Pradesh east."